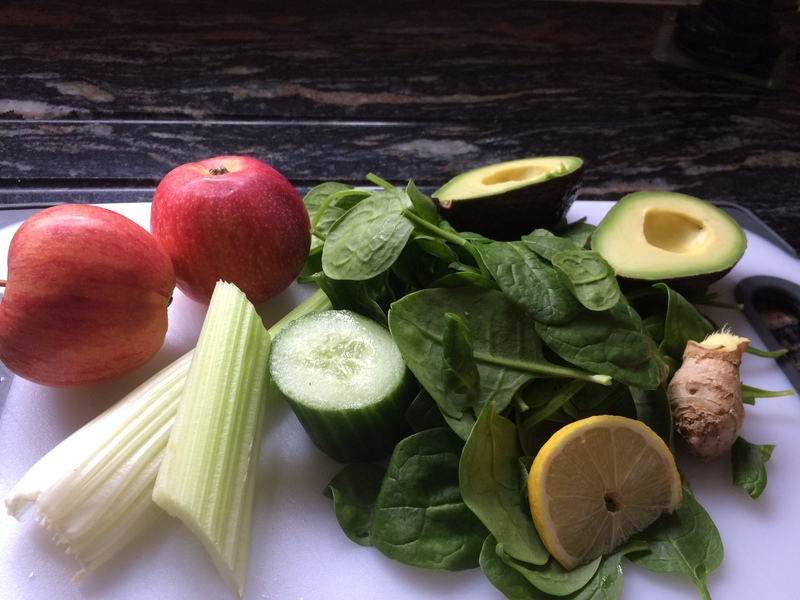 What I love about juicing is that you don’t really have to follow a particular recipe; just grab what’s available in your fridge and kitchen and off you go. When I started juicing I did read up on the juicing books and have to admit Jason Vale was, and still is, my favourite Juicemaster. 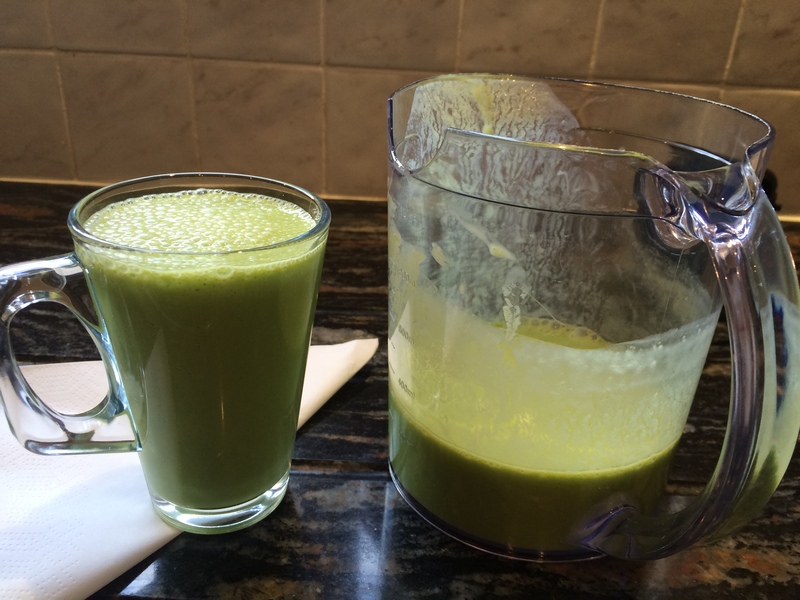 I have followed his three-day juice detox (three days every-so-often is perfect for me!) and was amazed at how brilliant it made me feel, and how beneficial I found it; not once during the three days did I feel hungry. It wasn’t done specifically for weight-loss but after a few months of eating healthily, i.e. no processed food or refined sugar, I actually wanted to try one – my body felt ready. I usually fit in a green juice each day. Sometimes it takes the place of breakfast or lunch; other times it is when I feel I need a boost or just ‘fancy’ one. When I am at the beach I often make one after breakfast and pop it in a flask with a couple of ice cubes and have it in-between swimming and sunbathing. Once I have juiced the apples and vegetables, I add either a dollop of live yoghurt, an avocado and/or some coconut water then blitz them all together. The avocado makes a deliciously smooth and creamy juice whilst the yogurt adds a lovely tang. Add coconut water if the juice is too thick. Another day I will add a large handful of fresh herbs from the garden. The list of ingredients is endless. This entry was posted in Breakfast, Lunch, Miscellany, Vegetarian and tagged Breakfast, Gluten Free, Green, Healthy Eating, Juice, Juicing, Lunch, Wheat-Free. Bookmark the permalink.